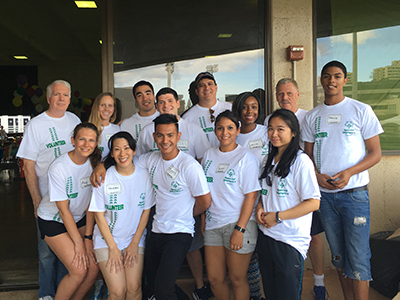 Argosy University, Hawai'i supported the Special Olympics on Saturday, June 4, 2016 through volunteerism. Fourteen faculty, staff, students, and their family members assisted with the event's "Healthy Athlete Exhibition". Participants learned about healthy living and received free check-ups in various areas of health and hygiene. The volunteer group also met the athletes and learned about their experiences at the Special Olympics.